I am sure you have already heard of so many places in east Sikkim and must be wondering how many number of days are actually needed to cover the entire Silk Route in Sikkim. I had the same question when I first went to the region in Sikkim. I had the same doubts and the same queries which you have now on Silk Route. On my first visit I just took 3 days to cover the entire Silk Route. Yes, it can be covered in 3 days only if you have less time in hand. There is no need to stay at all places rather you can stay at 2 places between NJP/Siliguri and Gangtok. But then after with each trip I started adding up places on my list and the number of places has been increasing till date with all my east Sikkim trips. Last 3 times in Sikkim I spent visited east Sikkim exclusively. The trips were focused on east Sikkim only covering the Silk Route. So it is totally up to you how many days you would need to cover Silk Route. At least 2 nights are required to explore Silk Route in east Sikkim. Silk Route can be visited from both sides. You can visit east Sikkim directly from NJP/Bagdogra/Siliguri or you can visit the place from Gangtok’s side. You get the same path until Rongli Bazar – the border between West Bengal and Sikkim. You can proceed to NJP/Bagdogra directly from Lingtam via Rongli and Rongpo else you can take the diversion via Aritar, Rishikhola, Sillery Gaon, etc. and spent more nights there. People who have already visited Gangtok and want to visit Silk Route exclusively, it is quite easy to skip Gangtok and frame a travel plan. I would suggest you to visit east Sikkim directly from NJP/Bagdogra. If you visit from this way Gnathang Valley will be the last point to spend night. From Gnathang you can explore all sightseeing along Silk Route and return to Gnathnag for night stay and then proceed back towards NJP/Bagdogra exploring other interesting places as you select from the list given above. You can just drop a comment in the comment box below or mail me at uvreachedavi@gmail.com for any information you want on Silk Route travel plan. I will surely revert back. I would be more than happy to see your feedback on my Facebook page (review section). Stay tuned for more details on Sikkim. I want to go through silk route on 1st of april ,2015. for 2 nights 3 days package.on sharing basis.We are only 2 adults,please tell me about the package cost approx. I have a plan of visiting East Sikkim in coming May 2015. Is the itinerary fine taking into consideration we have 2 kids aged 3 years and 5 years . Also should I go for package trip or should I do individual bookings. Any suggestions would be of great help related to hotel booking , transportation , places which needs to be visited if I have missed out . I am planning to visit silk route this puja holidays. I have 5 nights and 6 days for silk route and kept aside another 2 nights for good old D(Dar(jee)ling). Please suggest me a tour plan so that I can have a memorable trip. My team has 13 members including senior citizens and children (youngest one is three years old). Also it would be of great help if you can provide contacts of some local reliable operators. Will wait for your valuable advice. I couldn’t reply earlier because I was out of city without net access. If you are still looking for any information, just drop me a mail at “uvreachedavi@gmail.com” with reference to this conversation. I can surely help you out. How can I share an itinerary if you don’t share the number of days you have planned to stay in Sikkim. I need the exact number of days, number of people, etc. to share more details and information on your Sikkim trip. Drop me a mail at “uvreachedavi@gmail.com” with reference to this conversation. I will surely revert back with details. Hello sir …. I have been planning to take my family to gangtok for just a week refreshment by a next couple of week … Actually, i never had been to gangtok but I were to darjeeling that too on those October puja days leave ..so I just wanted to know… Shall it be ok to leave for gangtok by this ongoing month of June ? ? You can surely visit Gangtok now. 1 week is good to explore places in and around Gangtok. I feel you should cover Gangtok and Pelling. Both are separate stays, I suggest 4 nights in Gangtok and 2 nights in Pelling. I don’t doubt your driving skills so you can drive your own vehicle. For more details or information, you can surely mail me at “uvreachedavi@gmail.com” and I would surely revert back. I am planning to visit silk route from 8.11.2015 to 13.11.2015. I will board the train on 7.11.2015 and will return from NJP on 13.11.2015. So I have 5 nights and 6 days for this trip. I have chosen Route 2 that you mentioned. We are four, I with my wife and two daughters 8 and 3 yrs of ages.Please suggest me a tour plan so that I can have a memorable trip. I have never visited north bengal earlier. Please let me know about any mid-standard hotels and fare per night and the place of hotel and duration of stay and and car fare etc. or any other information in detail. In regard to your query I just want to say that you would surely have great time visiting the Silk Route in east Sikkim. For your information, it is not withing the territory of north Bengal, it is in Sikkim. I have mailed you a detailed trip plan, check your inbox and revert back there if you have any query or doubt. Hi I am planning to visit east sikim from 29/12/15-2/1/16 . we are 2+2 in number. please help me in all posibile ways. Shall we get snow during that time? I have mailed all details. Please check your inbox and revert back there in the same thread. Regarding snowing, it depends on your luck. I am planning to visit the silk route in the second week of Feb, 2016 for 5 days. Will it be a favorable time ?? 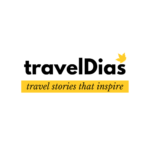 Please advice on the route and if possible suggest some tour operators. You will not be able travel across the entire Silk Route in Sikkim in February. The road will be blocked with snow for sure. You can do one thing, you can reach up to Padamchen (road will be clear) and then try to move further as much as possible on sightseeing and then return to Padamchen again. You can surely cover places like Sillery Gaon and Aritar along with Padamchen. If you like chilling temperature, you can make this trip. Do mail me at “uvreachedavi@gmail.com” for further communication. I am planning for a trip to Silk Route – Gangtok – North Sikkim in last week of Dec, 15. Is it possible to cover all those place in 7-8 days? How much cold will be there and in worst case what can not be covered? Please suggest. Also could you please suggest, how I can plan the trip so that I will get enough time to view the places. Mail me if you need more details. When are you planning to visit. I can surely suggest you a trip itinerary. Let me know the dates and time of arrival and departure from NJP. we (8 people) will be staying in sikkim for 5 days in may. we r planning to stay 1 day in Darzeeling,1day in Pelling nd 3 days in Gangtok.so provide us details regarding these places nd about hotels,cabs and other things. Hello sir.. We are going for a trip to Sikkim from April 9-15 and want you to help us plan the trip. I have already mailed you. Waiting for your reply.. I mailed you but you didn’t reply back. Do check your inbox and share your feedback. I’m planning to visit Gangtok & East Sikkim in coming May 2016. This will be my first ever solo to North bengal & sikkim , journey hail from Manipal , Karnataka by May 20th via Banglore – Howrah duranto express. can you please advice me about Package tour Or Individual booking are better ? You can get shared taxis from NJP to Gangtok. For Gangtok sightseeing if ylou are lucky then only you can get share vehicle for sightseeing but from Gangtok to Nathang valley and from Nathang valley to NJP via Zuluk, you will hardly get any shared vehicle. You will have to reserve a vehicle. If you want any package trip, you can ask travel agents and check if they have a slot for 1 person. If you want to make the trip on your own, I can surely help you out. Mail me your travel dates to “uvreachedavi@gmail.com”, I will revert back. Hi Abhijit, we are group of 10-12 people planning to visit silk route through kalimpong-ichegaon-sillery gaon route in Nov-Dec’16.Can you pls help us with an itinerary with the hotel/homestay contact details along with approx. cost estimation per head. Please check your inbox. I have shared all details. we are 8 persons( all above 40 years of age) plan to visit silk route in the month of Oct-2016(between Lakshmi and Kali puja, any 6 days) we will also want to visit Sillery Gaon ,old baba mandir and Nathula pass. other than we had visited entire Sikkim. please plan for us with alternate options + rough cost/head. we don’t want to touch Gantok.please provide few home-stay ph no if any. Hi! my husband and me are planning to visit Sikkim from the 6th to 16 th of June. Is it advisable ? Will we be able to visit all the places ? Please advise.We havent done any bookings yet but we need a holiday now . Wish I could help you earlier but unfortunately I just checked your comment. Is the above route & the home stays OK? Should I do it individually of should I go through a package? I have replied through mail. Please check. we are 8 persons plan to visit silk route on 6th to 12th Oct 2016 we will also want to visit Nathula pass. please plan for us with some options for 4daya/5days. rough cost/head.please provide some travel agent of NJP or Gangtok who arrange silk route tour. Hi Soumen…plz check your mail inbox for details. We, a family of four are planning to visit sikkim on september last week. Is it possible to reach zuluk from gangtok with all permits and cover 2 baba mandirs,nathula pass and come back to gangtok…that too in 2 days ( one night stay at zuluk)? That is feasible but I don’t suggest that. 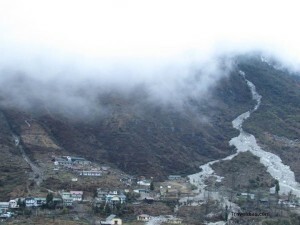 If you want to enjoy the beauty of Silk Route in east Sikkim you must spend 2-3 nights there. We are planning for silk route and zuluk on 25 th December, 8 adult and 4 children of 5 years will be in the group, can you help us to make a tour program of 5 days and 4 nights which can suit our children. Please advise us regarding the accommodation and transport which we can book for our trip. Mailed a detailed plan. Check your inbox plz. The information that you have shared in your blog is relay helpful. I plan to visit east Sikkim in the last week of March,17. The places will be Yaakten, Lingtam & Mankhim along with the local side seeing and Zuluk. Have 2 senior citizen and one child in the group. Need your suggestion on following points. *weather in March to view Kanchan Jangha? *suitable for senior citizen and child? *any point of contact for booking. Check your inbox please. I have mailed you in detail. Thank you Abhijit for your mail. We are planing to visit from 25th to 31st of March. will be grateful if you make a trip plan for us. There is no need to comment here anymore. We can communicate through mails. Please reply in that thread only. I have already suggested you a trip plan. Have a look and revert back. We wnat to visit slik rute on 6th jan to 11th jan .we have 5night 6dayd.pls make a trip plane ror us. It can be 1 night at Reshikhola, 2 nights at Padamchen, 1 night at Mankhim and 1 night at Yakten. You can mail me at “uvreachedavi@gmail.com” for further details. Hello! I have replied to your mail. Please check and revert back. We’ll reach NJP on 28/05/17 at 5am with 2 children of 3-4 years age group & 4 couples. Our return ticket from NJP is on 31/05/17 around 10pm. So we have 4days & 3nights. This’ll be our first trip to Sikim. Snow & scenic beauty are the priorities to our team having no infatuation for Gangtok. Kindly suggest an ideal trip for us. Thanks in advance. I mailed you but you din’t reply. I would require all details from your end to make a trip plan for you. Please fill up the sheet with all details and revert back. I would suggest accordingly. Hi… We wnat to visit slik rute on 24 Dec 17 to 26 Dec 17 . we have 2night 3days from NJP to NJP. We are a group of 8 people. Plz make a trip plane for us. I along with my wife and 2 children ( all above 14 years) are planning to visit silk route via Gangtok to Nathang Valley to Zuluk to Sallery Gaon via Tista Bazar to Darjeeling and come back to NJP. Since my children have not seen Gangtok in their grown up age they are keen in staying one night at Gangtok. We will be reaching Gangtok on 26th September, 2017. We want to start for the silk route on the early morning on 27th via Changu lake , Nathang valley, Kulup where we want to stay one night either at Nathang or at Kulup. We want to take the route Kulup – Reshikhola – Sallery Gaon and stay one night at Sallery Gaon . 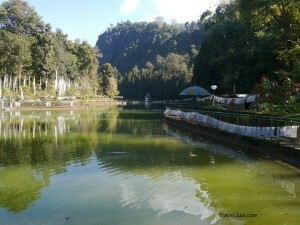 Next day we want to go to Darjeeling and stay two night at Darjeeling. on 1st October, we will come down to NJP for our train in the evening. Considering the puja flavour for my children we have planned to stay one night at Gangtok and 2 night at Darjeeling. I will be pleased if you can draw a detailed plan for us and also the places must see in the route. Also please give us the reference of experienced driver in the route along with reference of home stay at the places where we will stay nights. We want to visit Silk Route from 12 Jan 18 to 14 Jan 18. We have 2 night & 3 days from NJP to NJP. We are a group of 4 adult and 1 child of 4yrs. Plz make a trip plan for us. I want to visit Silk Route from 12 Jan 2018 to 14 Jan 2018. We have 2 night & 3 days from NJP to NJP. We are a group of 4 adult and 1 child of 4yrs. Plz make a trip plan for us. Me ,my husband n 2 kiddos(7yrs boy and 2 yrs gal) are planning to visit Silk route inc Zuluk Nathang valley etc.We will be staying in siliguri from 30th March to 15th April.We wanted to visit east Sikkim for 4-5 days in between that time frame. It will be great if you suggest some itenary with the resort details.I don’t want to go with package tour as with kids it wont be very comfortable and relaxing. I am planing to visit Silk Route Exclusively. DOnt want to be in gangtok, pelling had already visited couple of times. Me and my frnd r planning to explore the Old Silk Route in this Month (April). Is it a good decision to visit Old Silk route in April?? Am a Photographer, luv to c snow. But, afraid of being road closed.. plss help me out.. Thanks. Hello! Let me convey my sincere apologies for not responding earlier. Wish I could help you with details for your Silk Route tour plan to east Sikkim. Dear sir I m planing a trip of old silk route returning via gangtok in have 9 adult & one child of 4 years girl at puja holidays 5 nights 6 days how should I proceed please contact me or send me plan. I should let you know that I am not a travel agent. I can surely help you with all details and contacts I have. I would need more information from you to plan this. Please call me over the phone and let’s discuss. I am planning to visit zuluk, ariter, padmochen, kupup vally, nathang vally with silk route definitely in april next year. Can you please tell me is there any altitude problem with my 3.5 year (april 2019) old kid. And what will be the temperature at that time please let me know. There should not be any altitude problem unless your baby suffers any specific issues. So don’t worry. I would suggest to skip staying overnights at Nathang Valley, it is the highest point along Silk Route. Temperature will be quite cold but favourable. Do carry warm cloths. For further details, you can email me or call me on my mobile. I would love to help you. we, group of 6 peoples are planning to visit silkroute during the last week of October this year for a 5N/6D tour. we would like to start the tour from gangtok side and want to include Nathula and changu. Please provide a suitable itinerary for us. It would be of much help if you could provide the contacts of persons who can arrange the tour for us. I am so sorry that I couldn’t respond earlier. Wish you had a great trip to Silk Route in Sikkim. Thanks for your details information. I like to visit silk route or Gangtok , ravangla, pelling at the end week of dec .
Our trip will be 5N/6D. In our group two kids one is 1.3 y and another 3 years. Can you please suggest which part we should go. Silk route to Gangtok / pelling to gangtok. Hello Indranil! Wish I could respond earlier. Apology for the late reply. Let me know if you are still looking for any information on your Sikkim trip. I would like to help you with all hotel details and trip plan for your Gangtok-Pelling trip plan. You can write back to me or call me on 9831540384. I want to go silk rout in 23 rd march, 19 is it possible to go gangtok from there? Hello Debkumar! Thanks for writing to me. Yes, you can surely visit Gangtok from Silk Route. If the actual Silk Route is blocked in some parts, you can take the other route that doesn’t receive snowfall. I want to visit silk route by the end of february.we are 10 adults and 5 children.i want to have 4n5d trip.how should I plan it.the route actually.if I want to have an economical trip.what could be the cost per head.should we go for package or individual.also if you can suggest lodging informational.how will be the weather at that time.can we get fresh snowfalls. Dear Rony! Thanks for reaching out to TravelDias. It would be my pleasure to help you with all details about your upcoming trip to Silk Route in East Sikkim. You will not get any shared car to travel along Silk Route. You will have to reserve cars. As you are 10 adults and 5 children, you would require 2 large cars. Cost of a car may vary from Rs 3,200 to 3,600 per day depending on demand. luxury cars will cost you higher. There are varieties of home stays along Silk Route. Some may cost you below Rs 850 per head per day and few even cost you above Rs 900 per head per day but I think a good accommodation is Silk Route should cost you between Rs 900 to 1000 per day per head. In February, you will surely have snow clad roads and mountains. Experiencing snowfall depends on your luck. Weather will be too cold in Silk Route that time. For 4 nights – 5 days trip, you have so many options but I think you can stay 1 night at Reshikhola, 2 nights at Padamchen and 1 night at Mankhim or Yakten. If needed, I can help you with detailed travel plan to Silk Route. Do call me on 9831540384. We can discuss in detail. You can also write back to me. I have sent you a mail. But I wonder what’s the purpose. These are spots of Internets. These are separate villages.